Finally getting a post up before I start one more thing! 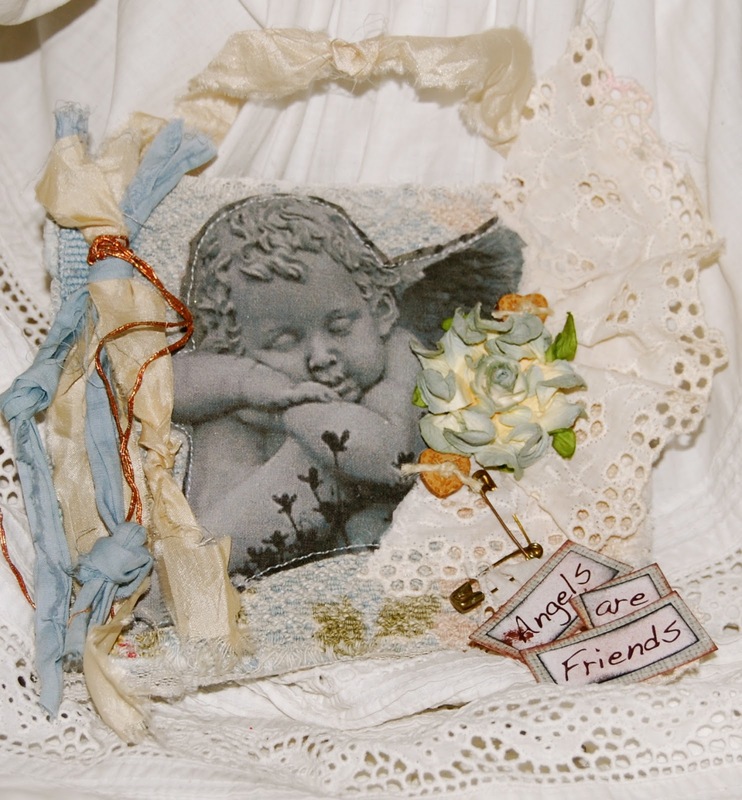 A Gift for a Friend that I created with a little barks cloth, image transfer onto fabric, sari silk, vintage lace and shabby paper flowers. Linking up today with Cottage Stitchery for our Wednesday Blog Hop.